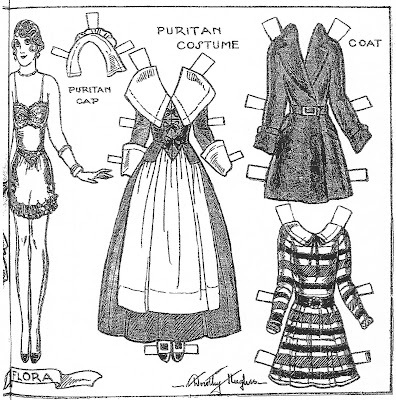 January 25, 1930. 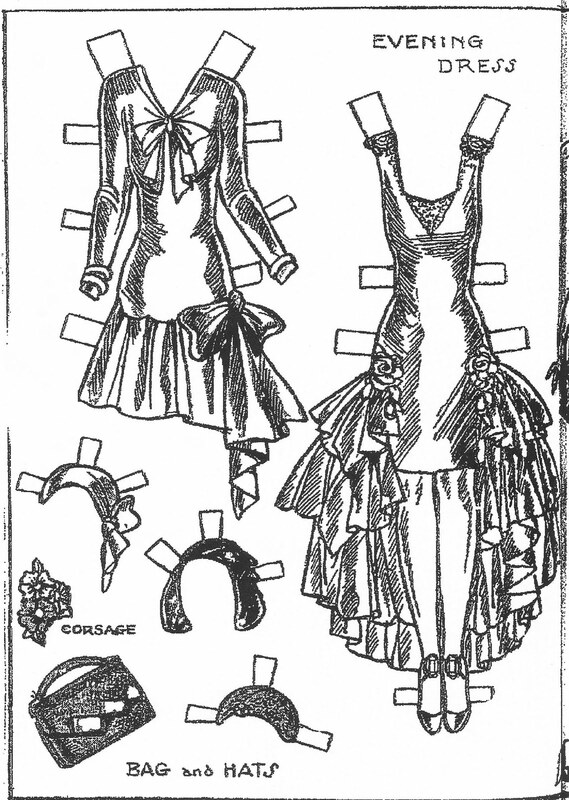 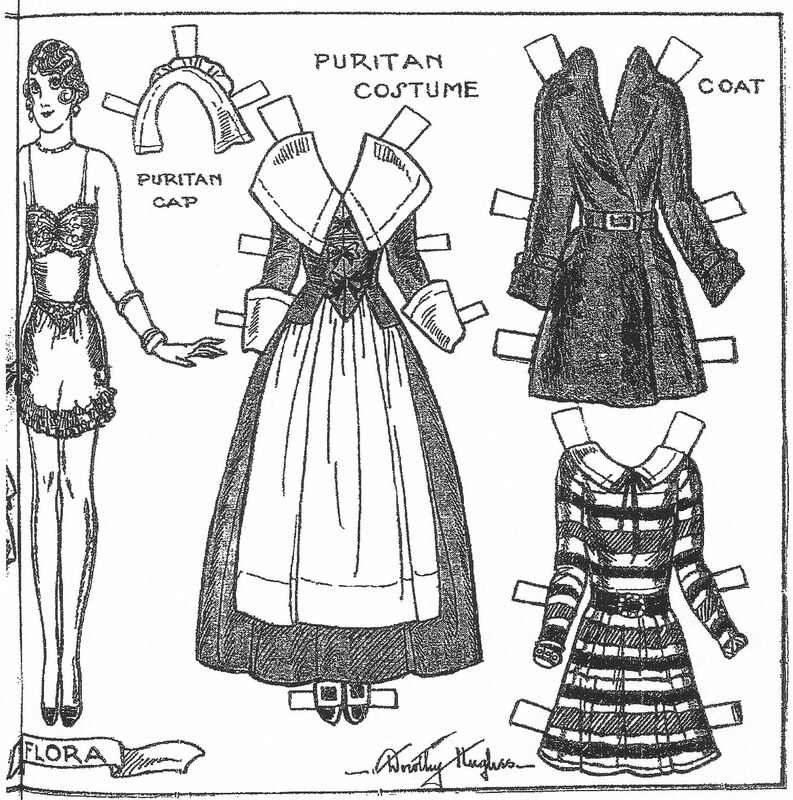 Dorothy Hughes drew many newspaper paper dolls. I wish that the newspaper had not spread the paper doll across two pages for the doll lost an arm in the process.